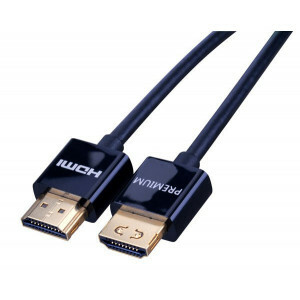 HDMI Cables powered by RedMere’s technology are only 25% of the size of a standard HDMI cable and because they are light and ultra-thin they are easier to bend- route and disguise This next-generation cable technology allows for significantly thinner gauges- which increases cable management capability and reduces weight without sacrificing signal quality Active amplification is provided by the RedMere chip. 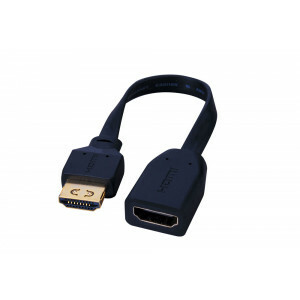 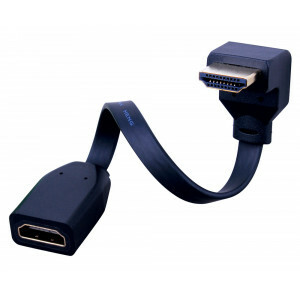 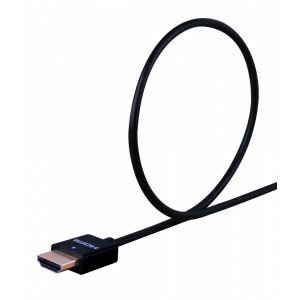 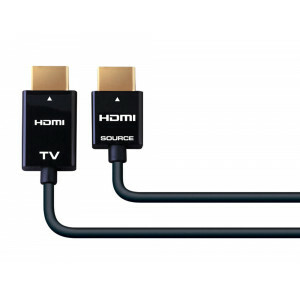 This technology allows data speed to exceed 10.2 Gbps up to 100 ft. HDMI cables with RedMere technology are thinner- lighter- more flexible- and easier to route in a home theater- plus they are more portable and easier to carry with laptops or portable video gear Enables IP-based applications over HDMI Supports 3D Supports 4K x 2K and 1080p Data Speed Transfer: Exceeds 10.2 Gbps ABS Connector 12 and 15 ft 12 and 15ft Connector size: Source side: .78″ L x .77″ W x .31″H TV side: 1″ L x .77″ W x .31″ H 20 ft and Up Connector size: Source side: .98″ L x .77″ W x .39″ H TV Side: 1.13″ L x .77″ W x .39″ H PVC Connector 20 ft and Up UL Listed CL3 Rated 20 ft and Up ** Directional cables, do not run backwards! 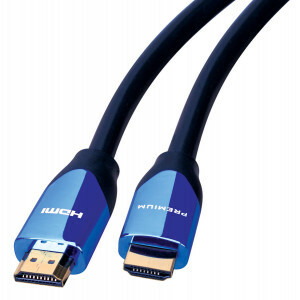 HDMI Cables powered by RedMere’s technology are only 25% of the size of a standard HDMI cable and because they are light and ultra-thin they are easier to bend- route and disguise This next-generation cable technology allows for significantly thinner gauges- which increases cable management capability and reduces weight without sacrificing signal quality Active amplification is provided by the RedMere chip. 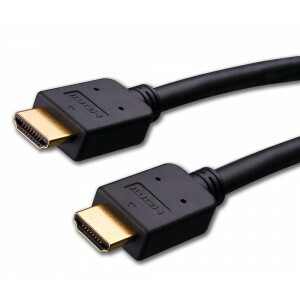 This technology allows data speed to exceed 10.2 Gbps up to 100 ft. HDMI cables with RedMere technology are thinner- lighter- more flexible- and easier to route in a home theater- plus they are more portable and easier to carry with laptops or portable video gear Enables IP-based applications over HDMI Supports 3D Supports 4K x 2K and 1080p Data Speed Transfer: Exceeds 10.2 Gbps ABS Connector 12 and 15 ft 12 and 15ft Connector size: Source side: .78″ L x .77″ W x .31″H TV side: 1″ L x .77″ W x .31″ H 20 ft and Up Connector size: Source side: .98″ L x .77″ W x .39″ H TV Side: 1.13″ L x .77″ W x .39″ H PVC Connector 20 ft and Up UL Listed CL3 Rated 20 ft and Up ** These are Directional Cables, do not run backwards!